The new design, combine racing style and digital watch with Digital Hybrid 360. 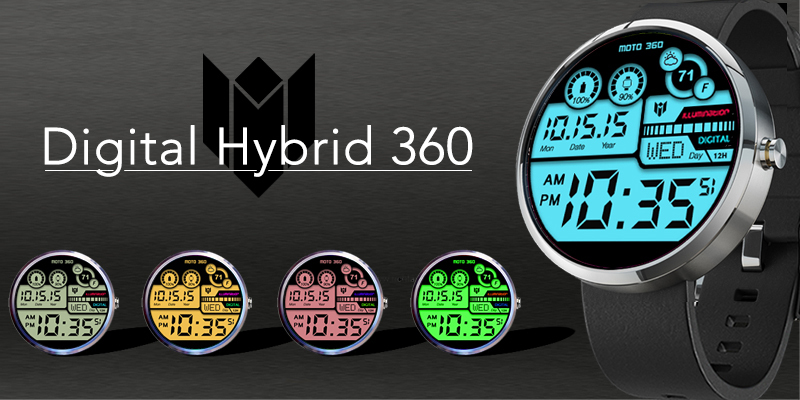 Digital Hybrid 360 Watch Face is designed for Moto360. -After installing the app on your phone, then you will see Digital Hybrid 360 watch face in the app “Android Wear”. -Please activate it from your Smartwatch by Long press on the clock then select the Digital Hybrid 360 watch face. Don’t worried about the remaining battery with real time battery life indicator. Have an any idea to improve the app? Let us know by write review and we’ll do our best to make this app better.